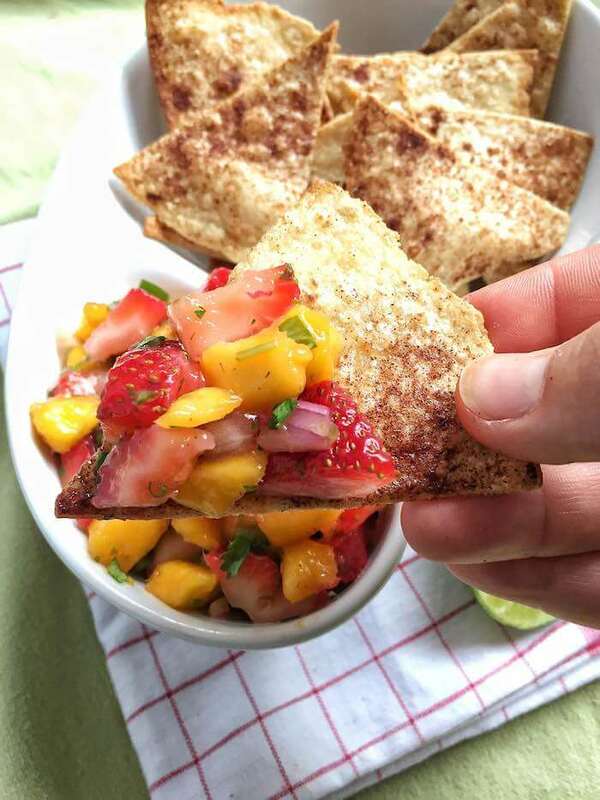 Liven up your Cinco de Mayo gathering or summer picnic with simple and fresh Strawberry-Mango Salsa with Cinnamon Tortilla Chips. 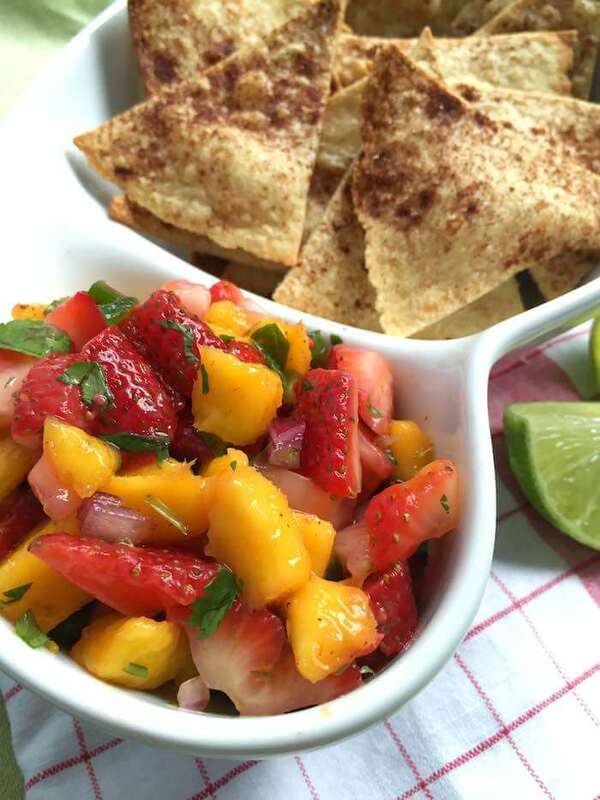 Nothing says summer like a sweet and spicy fruit salsa and this strawberry-mango salsa fits the bill. 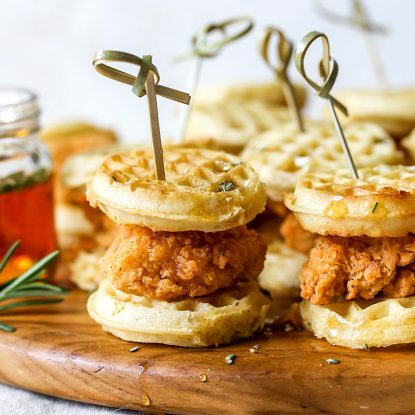 My favorite thing to do during the summer is hit the produce stands and farmers’ markets for a variety of fresh fruits and vegetables that usually end up being turned into a salsa or salad. Strawberries are one of my favorite sweet or savory salsa ingredients because of the flavor and color they add to the dish. 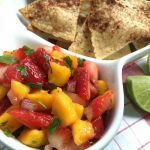 This recipe for strawberry-mango salsa is a favorite I made all the time and then adapt according to the audience. For example, my girls don’t care for heat so when I make for them I’ll often leave out the jalapeño. I’m not a huge cilantro fan so I’ll shave the portion way back when I know it is just for me versus a crowd. 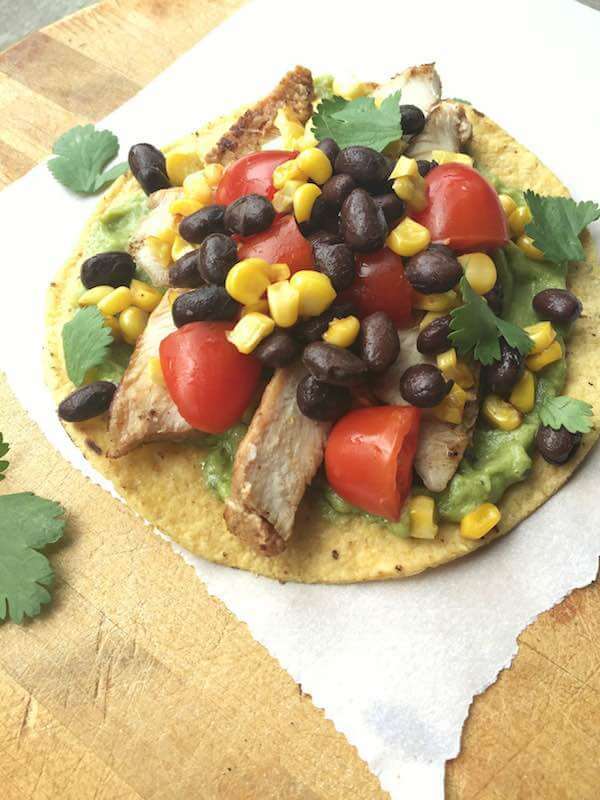 This recipe is ideal on its own with the cinnamon tortilla chips but also tastes yummy with salty tortilla chips as well as over fish or chicken for a fresh topping. 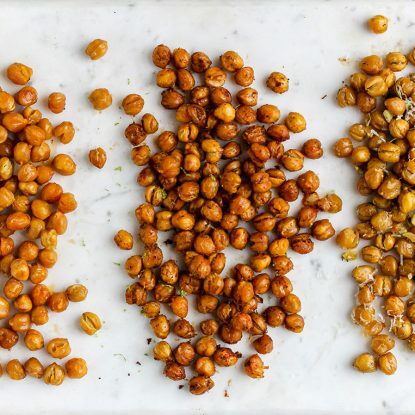 Are you a fan of salsa? 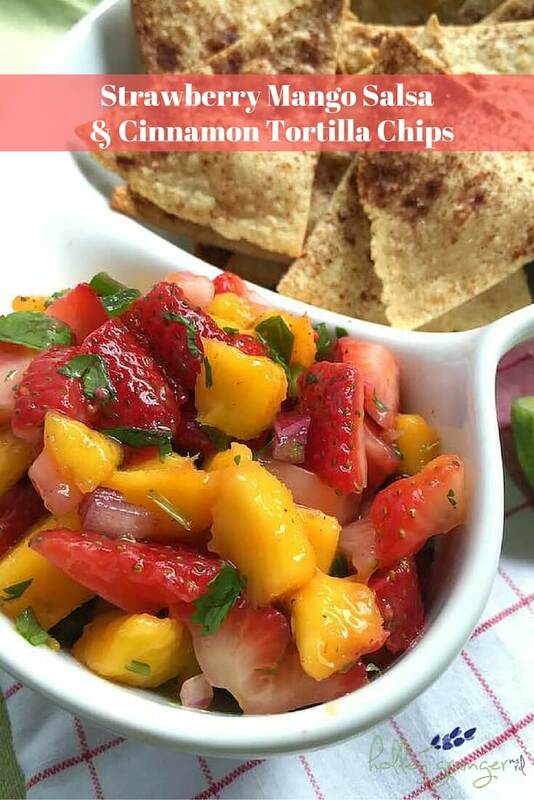 Be sure to check the recipes below to see one of my favorite recipe roundups of 22 Fresh Fruit and Veggie Salsa Recipes. Also, have we connected on Instagram yet? 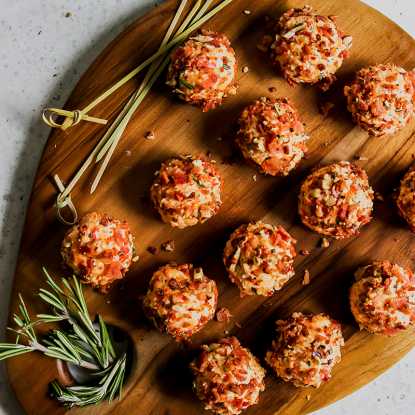 Stay up-to-date with my latest recipes, daily kid-friendly lunchboxes and fun photos of my family. Spray tortillas with evenly with cooking spray (or brush with melted butter). Sprinkle evenly with sugar and cinnamon. Cut each tortilla into 8 wedges using a pizza roller. Bake at 400 degrees F for 8-10 minutes or until crispy. combine strawberries, mango, and remaining ingredients; gently stir. I loved the tips on hulling strawberries and how to cut a mango!